Since September, I've been introducing my primary (year 4) class to the idea of how a growth mindset can help with learning. I'd heard of Carol Dweck before but hadn't done much research into why she was "famous". In our first INSET days at the start of the year, a colleague used this video (first 10 mins) to introduce the staff team to Growth vs Fixed Mindsets and their power over learning. If you've no idea what I'm talking about, then I suggest you watch the beginning of that video before you read on! Being careful not to just pick up and run with a new fad, I did some reading and watching online to see whether this was something I should be exploring with my class. Blog posts from secondary bloggers, Shaun and Chris, and the videos embedded convinced me that it was. I am only 6 months into instilling a Growth Mindset in my classroom so am by no means an expert in this. However, when I started out, I could find no such information to help me make the first steps with my pupils so I hope this can give some guidance for those interested in growth mindset in the primary school. I started off by using two soft-toy characters to introduce the idea of different mindsets to my class. Year 3 used this previously and found it successful. There is no rhyme or reason for it being a rat or a hare - they were simply the only two cuddly toys that I had at the time. Early on, I told stories about these two characters and their learning - this simply took one 30 minute slot at the beginning of the year. Really Hard Ratty has a fixed mindset; he knows that he's good at reading and art but isn't good at maths. He tries hard in those subjects but thinks he's stupid in maths lessons. He doesn't try and when he gets stuck he says, "It's really hard." Work-At-It Wiz (who is sometimes re-named Work-It-Out Wiz) has a growth mindset; he believes that if you put in effort, you can get better at everything. He tries hard in all subjects, even in subjects that he struggles with. Using these soft toys - both from Ikea if you're wondering(!) - immediately gave younger children a starting point for their understanding of mindset. From the word go, pupils were commenting when someone was "being a Wiz" and recognised the language of the growth mindset. We discussed changing what we say and watched some videos which showed people being "like Wiz". Soon after this introduction, we wrote a short assembly about how we had shown that we had growth mindsets in the first few weeks of term. Children spoke about and showed learning where they had struggled and put a lot of effort in and made progress. This was a great way of sharing idea of mindsets with the school and giving the children a voice in their learning. 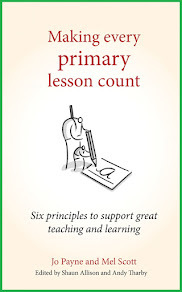 Having previously been a self-confessed ability-group obsessive, I was beginning to come around to the idea that mixed tables would enable children to learn better. I begin to plan not for specific groups but for the highest of expectations from my whole class. Pupil choice became a big part of my planning and I started using my assessment trays, which had previously been an end-of-lesson resource, as the hub of learning. I planned an activity which all children would complete and considered how children can be supported to achieve this. You can read more about how I challenge the whole class in mixed-ability groups here. I've never been a massive fan of lots of quotes on the walls but there are loads to choose from for the Growth Mindset. This quote about how practice can help progress has become a mantra in my classroom and is the only quote which I have on display permanently. The children really took this to heart and so it is used throughout our lessons. I had a "YOU DID IT!" stamper made so that children knew when their practice had paid off. To encourage a growth mindset, I try and praise children for their attitude and effort, rather than just getting correct answers so you'll see the child above received a house-point simply for being "like Wiz", without necessarily getting lots of questions right. Ratty and Wiz are easily accessible in my classroom and children who have showed they are "like Wiz" can sit with him for a lesson. At primary school, this is such a treat and children's faces light up when they get to have him help them with their work! Learning about the research which has taken place to do with the growth mindset and feedback made me re-consider the comments I leave in children's books. Carol Dweck encourages teachers to avoid the "clever girl/boy" comments and focus on the skills which children have used and the effort they put in to enable them to learn. I had a "Great Learning! Now try this:" stamper made so that children were praised for the progress they had made before being challenged in something new. Obviously, the best thing to do to see the impact this has had would be to talk to my class. Sadly, you can't do that so instead I'll leave you with some of their post-lesson comments which show their mindsets. I've never taught a class who enjoy learning so much and so who relish challenging lessons; I'm convinced that's down to the growth mindset elements which have been introduced this year. Having a Mistake of the Day. Encourage children to add "yet" when they say "I can't do it." Having a crown of mistakes - people who learn from their mistakes can wear it. Enjoying being on the "struggle bus" together. Having display boards which promote a growth mindset. Teaching discrete lessons about the brain and how it works. You can buy the book which started it all off here: Mindset by Carol Dweck. I'm collecting interesting links, videos and images on my Growth Mindset Pinterest board. There are many books which can help introduce a Growth Mindset to children in this Amazon wishlist. The effect of praise on mindset video. Mr Bradley's class talking about mindsets video. I love this post...it totally sums up what teaching and learning should focus on. It's given me some ideas to develop with my class. The comments written by the children are superb. I am working with mine to say, " It's hard but I will keep on trying!" I shall definitely adopt the soft toy /puppet approach as it makes the process more accessible. Thanks for sharing this. You have great ideas on your site. Where did you get your stamps from? I love the idea of giving students a way to extend their learning. Just one question (at the moment - I am sure I will think of more once I get more into detailed thinking about next year), do you have any suggestions of other blogs that will also inspire? I'm returning to teaching after a 9 year gap and this blog has totally inspired me ...thank you so much! 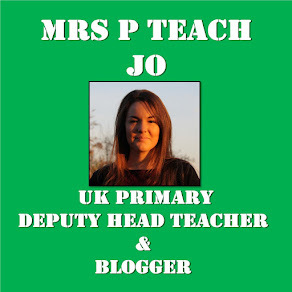 Loved reading your blog.I have just had a session on Growth mindset by our learning coach in school and I found your blog so interesting. I really love the soft toy ideas to introduce mindset especially as I have Y1 children. Thank you for lots of great ideas to try out. Hi, Jo. Thank you for sharing your experiences. Awesome work there! Awesome post with great ideas. Our child will learn more things. Thanks for sharing it. Hi, we've been introducing this throughout the year. At Parents evening we had several sort films playing in the corridors for parents to watch and motivational posters for parents and children to take home. They were really interested.